The acting Registrar of the institution, Mrs Oyeyimika Fasakin, however, announced on Friday in a statement that an agreement had been reached with representatives of the students on the 2017/2018 first semester examinations. Fasakin, according to the statement, said the agreement was reached at meeting held on Wednesday. 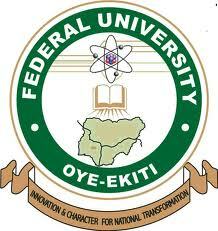 Read Also: Federal University Oye Ekiti (FUOYE) Shut Indefinitely After Students Protest ‘No Tuition, No Exam’ Directive. The University Management Today held a meeting with the the *Students union executives together with the “consigned stakeholders” that included the part immediate SRC members* on the situation on Campus. 3.Only returning Students who have paid 70% and above will be allowed to write their examinations. 4.The balance of the fees(30%) should be paid before the closure of 2nd semester registration. 5.Only fresh students who have made full payments will be allowed to write the Examinations. 6.All returning students who have paid 70% of their fees and missed their Examination are to full make up Examination form at the Academic affairs office. 7.Make up Exam will be conducted for those who missed it immediately after the 1st semester Examination. 8.Students who missed Examinations due to not laminating their course forms are equally to pick the make-up Examination form also at the Academic affairs unit. NOTE-This is subjected to change/ adjustment as it requires in subsequent sessions.